Ding, Dong! The Book Is Here! You asked for it. You got it! 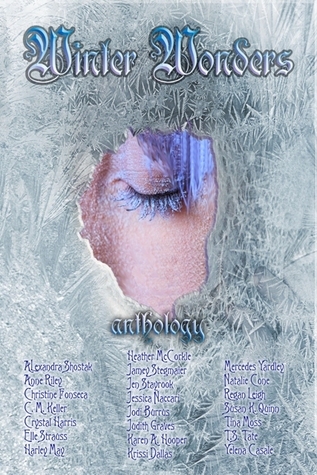 Winter Wonders, the anthology with a short story by yours truly, is up for pre-sale now. Christmas is a coming, so maybe you should get two! FYI: Cost is $9.99 plus $3.99 for shipping. I’m so excited! And will happily autograph as many copies as you like. Did that sound obnoxious? Cause it felt obnoxious. But saying, “There is NO way I’m autographing any of these babies! Nuh-uh! I’m WAY too busy for that mess!” seemed way MORE obnoxious, so let’s just say I went with the lesser of two evils. Click on the picture below to learn more about our publisher, Compass Press, and Literacy, Inc. — the charity where all our proceeds are being contributed. How exciting!! I will be ordering one just as soon as I remember which jeans I left my debit card in. This is do awesome Jodi. I am so very proud of you. And yes I really want my book autographed. Woohoo Jodi!!!!! This is so* awesome Jodi. I got excited!! Yay! The beginning of it all! I knew you when. Love you and so proud of you girl. Just promise you’ll change names to protect the not so innocent in the future projects.